India is a country with an incredible history. Over a period of time of great rulers, many different sculptures and monuments have been made. While many are still reserved and open for tourists, some were diminished and some were forgotten. However, the rich history they carry is still intact. There are many beautiful cultural heritage sites in India which possess a history of many years that only a few know about. How about exploring these least-explored heritage sites of India this season? Located in the Panchmahal district of Gujarat in the legendary city of Champaner, this archaeological site houses numerous palaces, temples, tanks, stepwells and many other historical buildings. If you are looking to get in touch with the events of the 8th century, then here is your site with an entire collection of magnificent marvels. From Hindu shrines and temples to mosques and tombs, this place has a lot in store to explore and know about. Get yourself here and be astounded by its marvels. One of the few biosphere reserves and national parks inscribed to the list of World Heritage Sites, Khangchendzonga National Park is home to several animals, such as musk deer, snow leopard, Himalayan Tahr, red panda and many more. Apart from animals, it also houses a monastery, Zemu Glacier and certain local tribes. 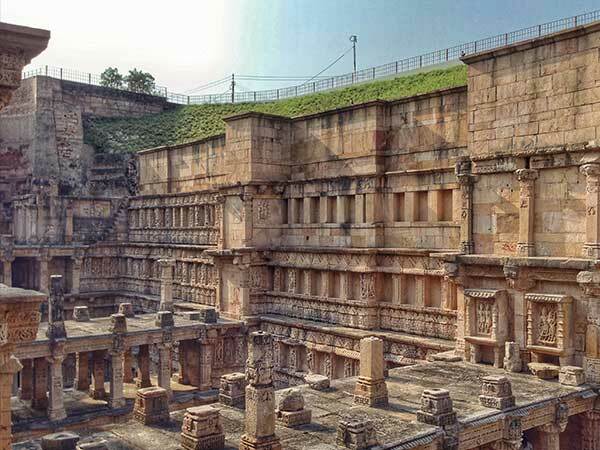 Located on the banks of Saraswati river and built during the reign of Chalukya dynasty, Rani Ki Vav is an ancient stepwell in the Patan town of Gujarat. This architectural and historical masterpiece has seven levels of stairs and holds the beauty of more than 500 sculptures. It has also been declared as the cleanest iconic palace in 2016 on account of its intact designs and patterns glistening with the charm of its proud history. How about taking a bath in this stepwell filled with surprises at each level? Spread over an area of 100 acres, Capitol Complex located at Chandigarh is one the first pieces of modern architecture. Comprising a high court, the Legislative Assembly Building, a lake, the Open Hand Monument and several other buildings, this huge complex was designed by Le Corbusier, one of the pioneers of modern architecture. Once you are inside this large compound where stepping stones of modern architecture are laid, you can certainly feel the evolution of modern designs. Capitol Complex was inscribed on the list of World Heritage Sites in 2016. Being one of the least-explored heritage sites in India, people are unaware of its greatness and historical significance. Bhimbetka Rock Shelters are believed to be present since the Stone Age and hence, you can also find certain traces of human life. Cave paintings at this heritage site date back to thousands of years, thereby, making this site harbour the oldest-known rock art. With more than 750 rock shelters at Bhimbetka, this least-explored heritage site is also one of the largest prehistoric compounds spread across seven hills and over 10 km.